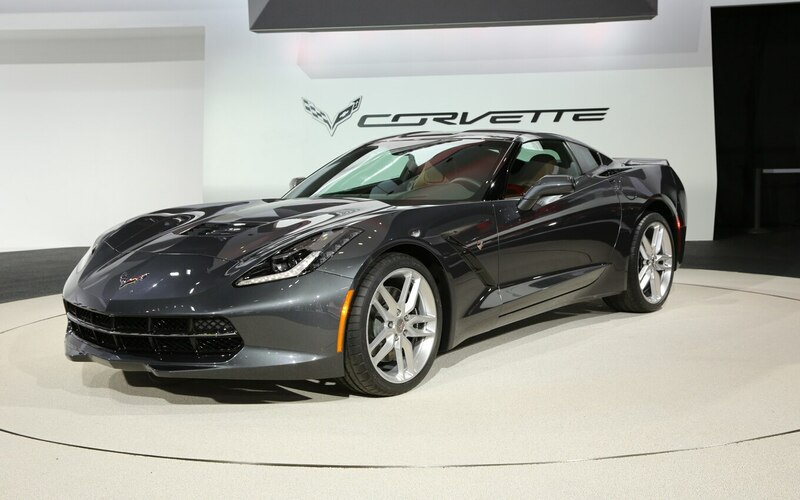 With the introduction of the 2014 Chevrolet Corvette Stingray, the “C7”, Chevrolet ended nine years of rumors, anticipation, and speculation among Corvette fans and sports car enthusiast, on if and when the next generation of the Corvette would be released and what type of car it would be. The wait ended with the unveiling of an almost completely new car. It comes with some exciting new styling cues and an iconic nameplate that had been shelved since 1976. Chevy reportedly said that only two components on the new car were carried over from the previous generation. Let’s find out more about it. Although some accounts state that the “Sting Ray” moniker dates back to the original 1953 Corvette concept car, the name was not used in production until 10 years later with the debut of the “C2” generation in 1963. The name was shortened to one word (Stingray) in 1969. Although the “C3” platform remained in service until 1983, the “Stingray” nameplate was retired after the 1976 model year. The name did not resurface in production until 38 years later when it was applied to the 2014 Chevrolet Corvette Stingray, introduced in January of 2013 at the Detroit Auto Show. The new rendition of the Stingray was very close in shape to the outgoing “C6” Corvette platform but contained some significant design changes. Very noticeable was the more pronounced body creases and the distinguished multiple-vent treatment. The car also contained a more aggressively styled front fascia with sleek angular headlights, but two features clearly separated the 2014 Corvette Stingray from a long line of historical Corvette models. For the first time, the Corvette contained rear quarter windows. They were constructed separately from the canopy and after decades of the familiar circular or oval-shaped quad-patterned tail lights, the new car displayed four angled block-like lenses. The 2014 Stingray was developed with an all new “Gen V” version of the familiar small-block push rod V-8 engine that has powered the Corvette for decades. The new engine, the 6.2 liter LT1, which produced 455 horsepower and 460 lb-ft of torque was characterized by Car and Driver magazine at its debut as “the most powerful engine to power a standard Corvette to date”. Early estimates from General Motors predicted a 0-60 sprint in 4 seconds. Car and Driver clocked it at 3.9. With the assistance of its cylinder de-activation system, GM also declared that the new car would beat the C6’s 26 mpg EPA highway estimate. Two exhaust systems are available on the 2014 Stingray. The base system uses active valves to keep the sound at bay when the car is cruising on half the cylinders. There is an optional dual mode system that allows for more air flow, yielding improved performance and better sound. The C5-inspired quadruple tailpipes protruding from the center of the lower rear fascia was carried over from the previous generation. There’s also a choice of transmissions on the new Stingray. A 6-speed automatic is available as well as a 7-speed manual with four shift gates and rev-matching capability on the down and up-shifts. Unlike the hydroformed rails that ran the length of the previous generation Corvette, the frame of the 2014 Chevrolet Corvette Stingray is composed of multi-part aluminum assemblies on each side and a re-engineered center tunnel. This frame design is almost 60% stiffer and 100 pounds lighter than that of the old car. It is ideal for support of the removable roof panel that was carried over. The braking system on the 2014 Stingray features standard Brembo four-piston calipers capping 12.6-inch rotors at the front and 13.3-inch rotors at the rear. The rotors on the higher end “Z51” Stingray are slotted and an inch bigger up front. Fine tuning of the suspension on the new Stingray was achieved through the use of lightweight cast aluminum control arms. The Chevy-engineered composite leaf springs are also retained from the previous platform. The base Stingray has 1.4-inch Bilstein shocks. The Z51 comes with 1.8-inch Bilsteins or the magnetic ride control option. Chevy predicted that the car would pull 1g on the skid pad. 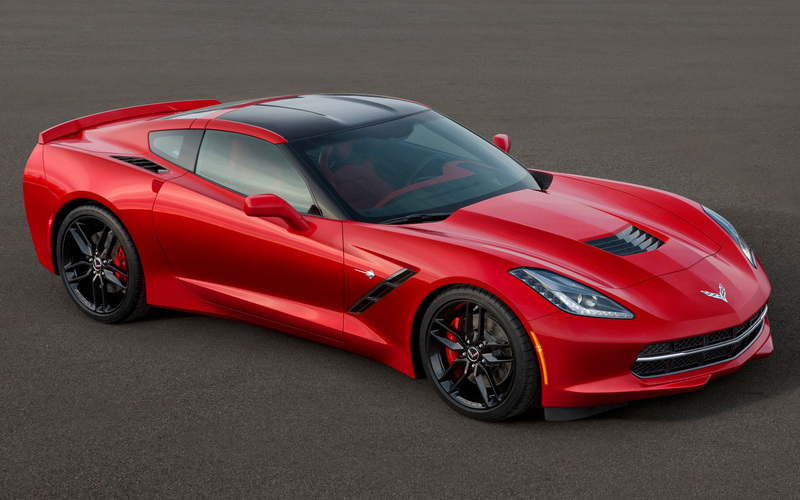 The 2014 Chevrolet Corvette Stingray’s steering was completely redesigned from the steering rack to the wheel. Chevy claimed that the new system is five times stiffer than that of the previous model. The steering is electronically-assisted with a “variable effort” feature. What’s more, the smaller wheel allows for more immediate feedback from the surface of the road. The most obvious improvement to the Corvette that we can see in the 2014 Chevrolet Corvette Stingray is in the car’s interior. The interior, which has long been a sore spot with Corvette owners and enthusiast, has been upgraded to a level that is more befitting a world-class sports car. The most notable improvement is the lack of hard, cheap-looking plastic surfaces. These have been replaced by fully vinyl-wrapped panels with available leather and carbon fiber accents. More room has been created in the console area by switching to an electronic parking brake. Furthermore, an extra storage compartment can be accessed by retracting the central screen. For the first time, a choice of two seats is available on the Corvette. They both exhibit a level of high quality and comfort. Although Car and Driver reports some quality issues experienced during their long term road test that they attribute to the usual “anomalies” associated with early first year models, the 2014 Chevrolet Corvette Stingray is an innovative work of science and art that’s worthy of wearing the iconic “Stingray” badge. Enter your email address to subscribe to Corvette Dreamer and receive notifications of new posts by email.